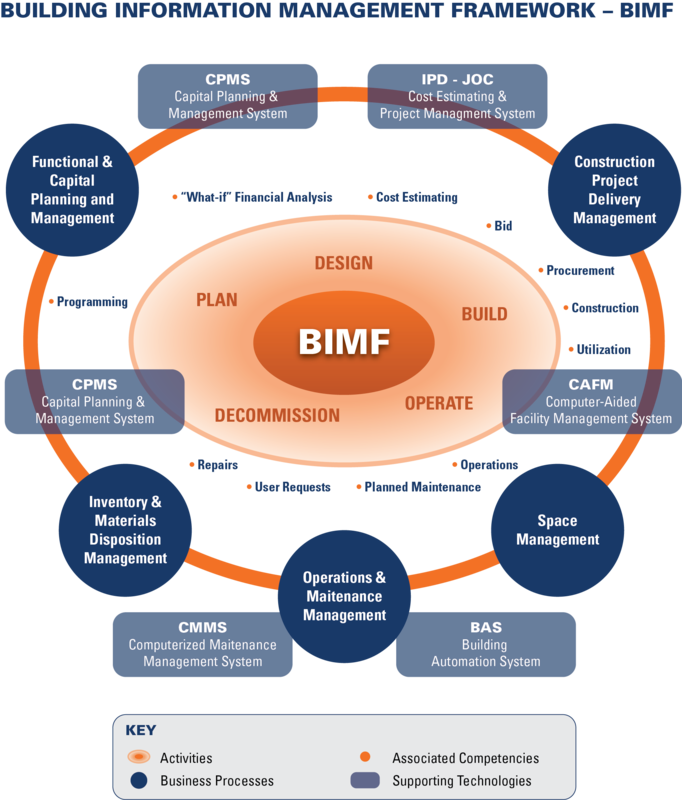 U.K. BIM has the same Issues as the U.S. The resistance to culture change within U.K.’s AEC sector is impeding BIM (efficient life-cycle management of the built environment), just as it has in the U.S.
“inertia resulting from the comfort of familiar commercial and contractual structures which do not encourage teamworking or collaboration”. Until collaborative LEAN construction delivery methods become mainstream, the AEC sectors dismal performance will continue unabated in the U.S. and the U.K. Examples of LEAN collaborative construction delivery include Integrated Project Delivery, IPD and Job Order Contracting, JOC. These and other alternative construction delivery methods resolve the fundamental flaws associated with design-bid-build, lowest bidder, and even design-build. IWMS and EAM are buzzwords! 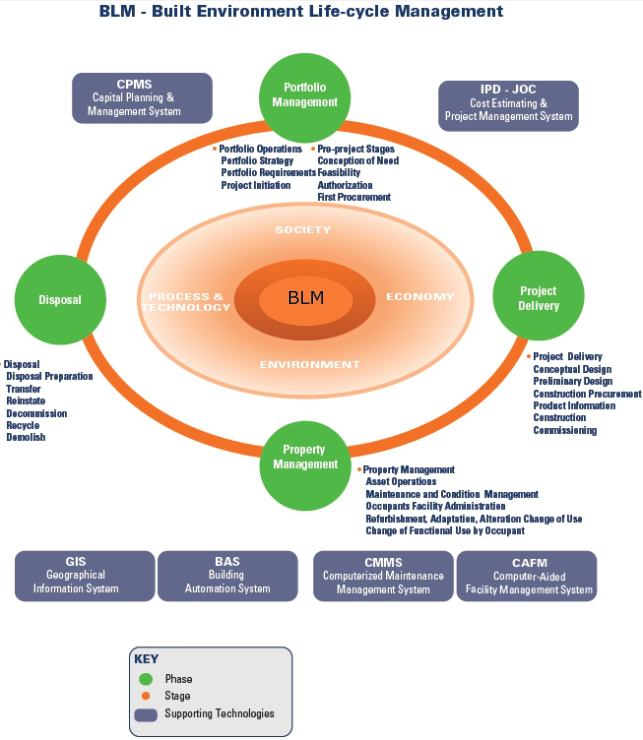 BIM is the life-cycle management of the built environment supported by digital technology…. 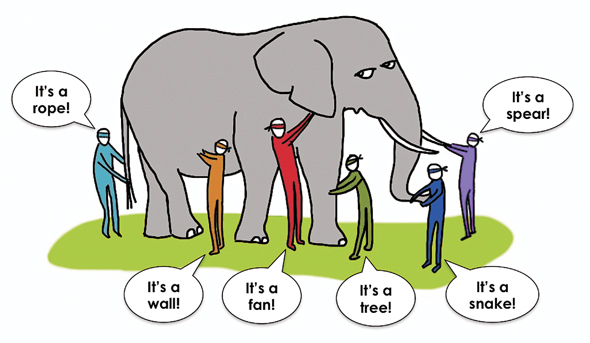 EAM and IWMS are “buzzwords”. 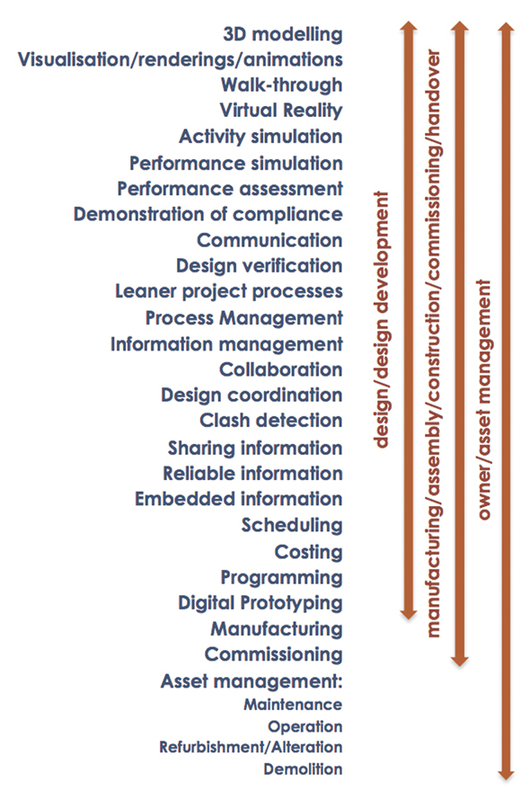 To achieve efficient the life-cycle management involved a list of competencies, processes, technolgies… please add to the list! 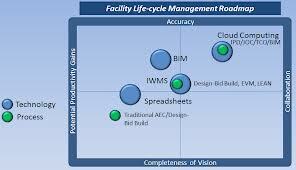 Metrics, Benchmarks, standardized and detail cost information – “you can’t manage what you don’t measure”. Achievement of efficient life-cycle management of the built environment requires a fundamental shift in how the AECOO (Architecture, Engineering, Construction, Operations, Owner) sector conduct business. BIM and Cloud Computing are disruptive technologies that will assist in this “transformation”…which as already begun.. while economic and environmental market drivers will assure the transformation. 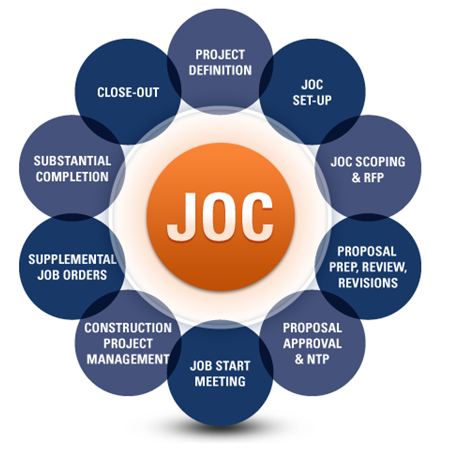 Via: www.4Clicks.com – Premier cost estimating and efficient project delivery solutions for JOC, SABER, IDIQ, SATOC, MATOC, MACC ….